Looking for a processor that can fit into your old HP Server and can run your demanding applications effortlessly? Then try Intel Xeon X5660 Processor that is the most suggestible and affordable processor. Intel Xeon X5660 CPU has a higher number of cores, maximum turbo frequency, great bus speed, best memory specifications, and is embedded with advanced technology. The Intel Xeon processor X5660 is ideal for the startups and SME’s as it offers so many features on a single chip. 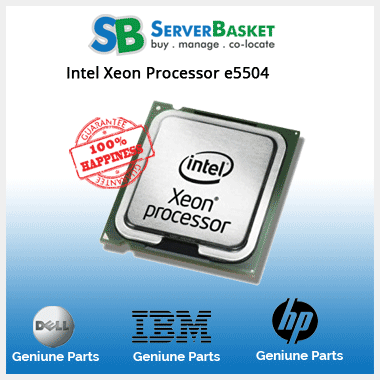 Server Basket is the only online retailer that provides HP Intel Xeon X5660 processor at such a discounted price. 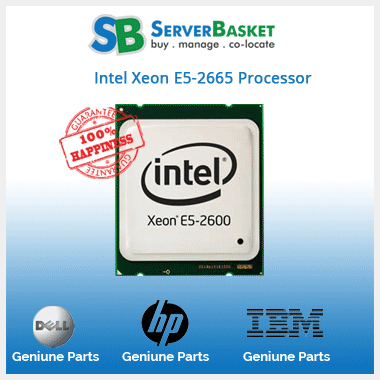 We guarantee you will get Intel Xeon X5660 CPUs at this price from no other online retailer. Intel Xeon X5660 is the best processor that can add power to your existing system. Comes with a bus speed of 6.4 GT/s QPI which means you get a good data transfer speed. The semiconductor technology used to manufacture this processor is of 32 nanometers, which indicates the processor comes with the best features on board. This affordable processor is ideal for SME’s looking for the CPU’s that can deliver blazing performance and are highly economical. To provide great performance and connect a number of virtual machines, the processor is equipped with six cores which means you can run up to 12 virtual machines simultaneously. The utmost single-core frequency at which this processor is capable of operating using the CPU OverClock is 3.20 GHz. Businesses can now rely on affordable X5660 processor for best virtualization compatibility. Speed up your data access with the 12 MB SmartCache on Xeon X5650 processor. The processor offers improved performance because of three DDR3 memory channels that provide a memory capacity of up to 288 GB. Run your multiple applications more smoothly with this memory capacity and memory bandwidth of 32 GB/s. 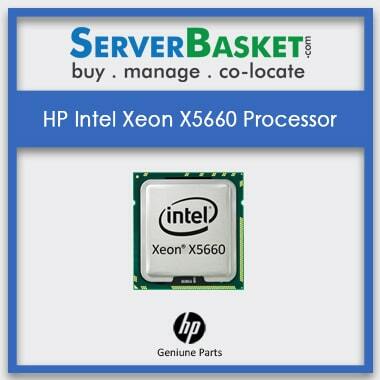 If you have a server that supports dual processors, then HP Intel Xeon X5660 processor is ideal for your server. As it comes with 6 cores, with dual CPU’s the server would be of 12 cores, which means the server has more capacity to run up to 24 virtual machines simultaneously. 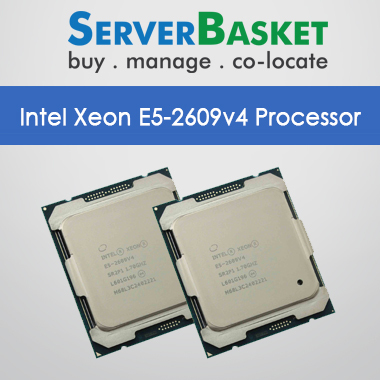 Intel Xeon X5660 processor is known for the multiple technologies it is embedded with. Give your server the burst of speed with the Intel turbo boost technology. The Intel Hyper-Threading technology can now help your server to do more work at a faster pace. The Intel Virtualization technology (VT-x) allows your server to work as multiple virtual machines. There are others like Enhanced Intel SpeedStep, Intel Demand Based Switching and many more technologies supported by this small X5660 chip. Searching for the best place where you can buy Intel Xeon X5660 processor at a lowest possible price? Then you are in the right place. Server Basket is the only online retailer that sells genuine products at such a lower price. How? We are the topmost distributors of the major companies and so can provide Intel X5660 CPU to our end-users at a much discounted price. Trust us you won’t get the processor at such a lower price from any other retailer. HP’s Intel Xeon X5660 processor can be installed in a number of HP servers. The processor is best compatible with HP servers of 6th generation like HP DL160, DL180, DL360, DL380, and 7th generation such as HP DL160, DL180, DL360, and DL380. Also Compatible with HP IPMTB-TK (Truckee) Motherboard. Intel Xeon X5660 processor operates at a maximum operating temperature of 81.3o C. The low operating temperature enables the server to draw less power. With all cores active and the processor working at complexity workload the average power drawn by this processor is 95W. 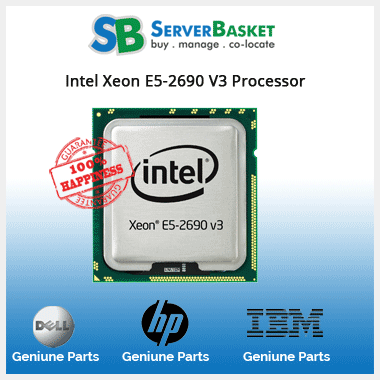 Purchasing Intel Xeon X5660 from Server Basket makes you eligible for a 90 days warranty. Assured Warranty means your processor would be free from any defects within the 90 days from the date of purchase. In case, the product fails during the normal working condition, then you will receive an instant replacement from Server Basket. Customers buying processors always look for instant delivery because of business urgency. 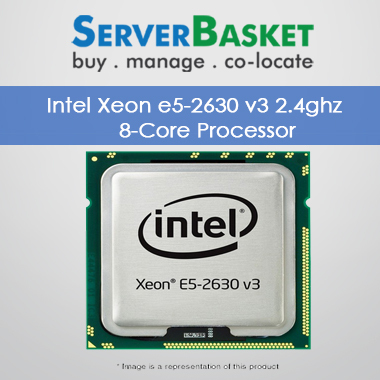 We at Server Basket, understand your instant business demands and so dispatch your HP Intel Xeon Processor on the same day of your payment. We guarantee that you get Intel Xeon X5660 processor delivered at your doorstep anywhere in India like Delhi, Hyderabad, Chennai, Mumbai, Bangalore, Pune etc within 2-3 working days.